I had some rocket, grape tomatoes and mozzarelline that needed to be used, otherwise they’d have to be trashed in the next few days. I decided to make some pâte brisée to go with it and made two quantities to justify dirtying my food processor 🙂 As I was making a small a tart, I used only half of one dough. I divided the remaining dough into 3 balls, wrapped them in cling film and put them in the freezer (it keeps well for up to 3 months). Put all the ingredients in a food processor and beat until it comes to a ball. Wrap in cling film and let it rest in fridge for at least 30 minutes. Beat eggs, cream, cheese, salt and nutmeg together. 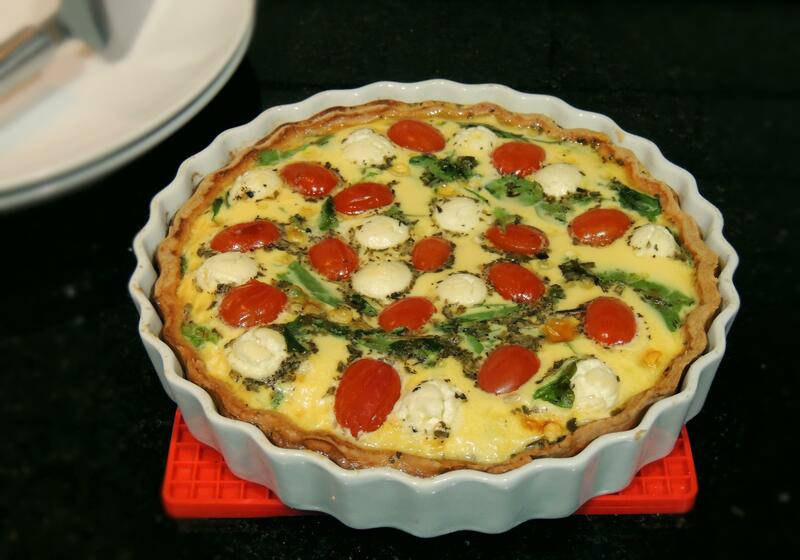 Roll out the dough on a floured surface and fit it to the bottom and sides of a quiche tin. Blind bake it for 15 minutes. Remove from the oven and turn the temperature down to 190oC. 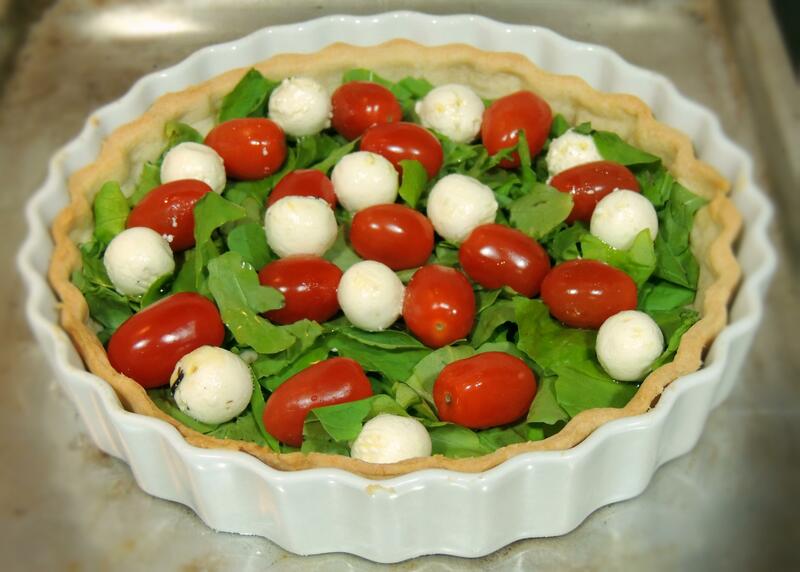 Place rocket, tomatoes and mozzarelline inside the crust and cover them with the cream mixture. 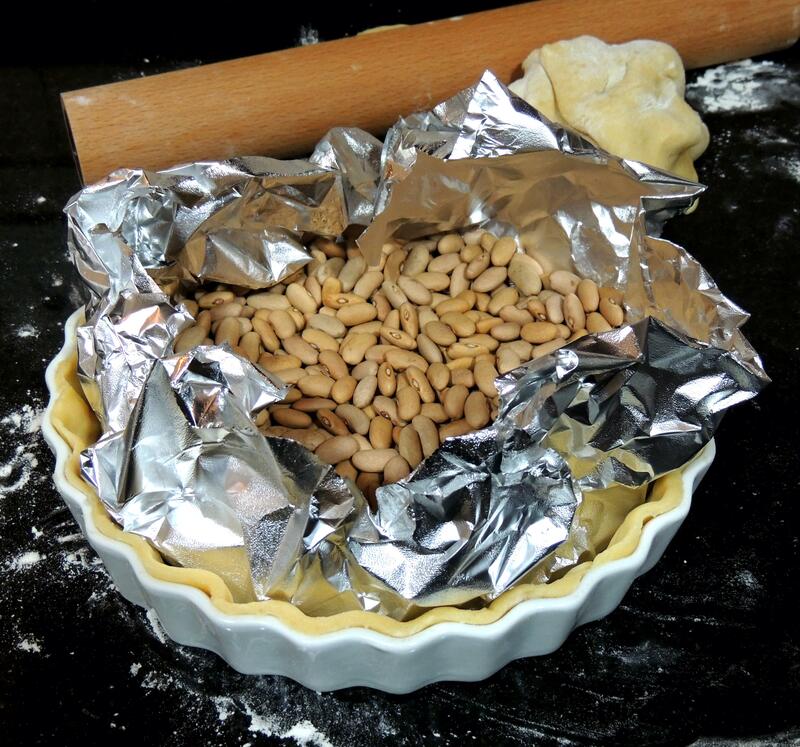 Put it back in the oven for 30 minutes or until filling’s set and golden. – Why is it important to rest the dough? The protein in the flour (gluten) gets elastic when it is worked. So when you try to roll a dough that has not rested it keeps shrinking back. – Why does the pastry shrink in the oven? Any protein shrinks under heat. Think about frying an egg. When you crack it into the pan it occupies a much larger area than after it’s cooked. 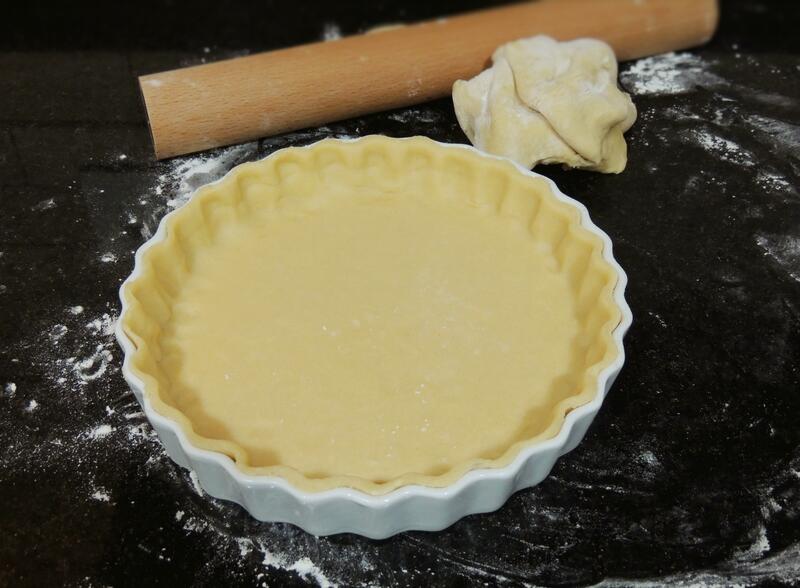 The pastry is made with a few types of protein – gluten (flour), albumin (egg white) and others in smaller amounts – therefore it’s likely to shrink in the oven. This tart sounds wonderful–it looks so delicious! My “cleaning the fridge” recipes never look this good Erika! 😉 Gorgeous! Your tart looks so good, I love the tomato with mozzarelline 😀 Gorgeous colours! It makes you feel healthy just by looking at it, innit?! Cheers, Uru! Love the look of this tart!